The April Featured Geocacher of the Month nominees contribute to their local geocaching communities and inspire geocachers around the world. They not only hide quality geocaches, but make sure those searching can contact them to make the find, if necessary. Thank you to all those who supported the nominees. 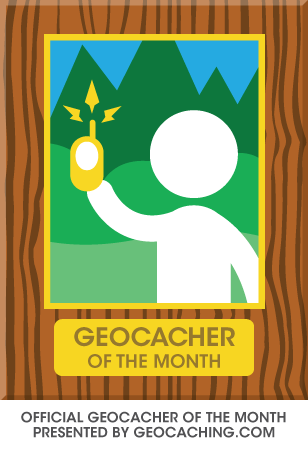 Those not chosen as the Featured Geocacher of the Month will receive a gift of appreciation from Geocaching HQ. The Featured Geocacher of the Month is named by Geocaching HQ after reviewing community input and blog comments. We all won seeing such great examples of how the geocaching community works together. After tallying the sentiment, MulderNScully have been named the Featured Geocachers of the Month for April 2013. MulderNScully will receive collector’s edition Featured Geocacher of the Month Geocoins, along with Featured Geocacher of the Month hats and a certificate acknowledging their contributions, signed by two of the founders of Geocaching.com. See a list of all the Featured Geocachers of the Month here. Please inform your nominee that you have submitted them for the award. Nominations for Featured Geocacher of the Month are accepted at any time. 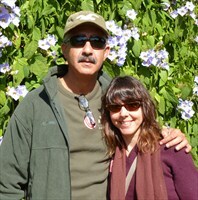 Congratulations again to MulderNScully for being recognized as the Featured Geocacher of the Month for April.